Originally a PC title, the class-based shooter Primal Carnage: Extinction will arrive on the PlayStation 4 in two weeks, October 20. The game has been updated recently on the PC to include a new co-op survival mode, which will be a part of the PS4 version upon release. The bulk of Primal Carnage: Extinction's action comes from a PvP experience where players choose to play as dinosaurs or humans, and then battle it out. 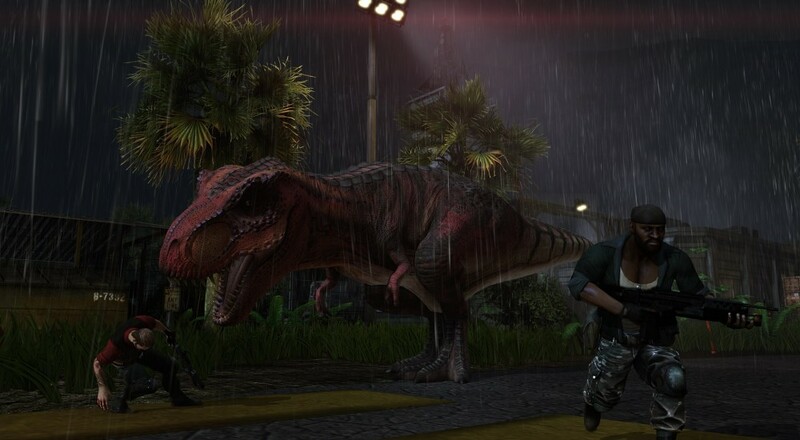 The co-op friendlier "Survival" mode was added this past summer to the PC version and allows up to five players to team up online in order to fight off increasingly tougher hordes of dinosaurs. Killing off dinos earns you money that can be used in between rounds to buy power-ups, weapon upgrades, and supplies to increase your chances of living through the next wave. The game currently retails for $19.99 on Steam and will likely run at a similar price point when it hits the PSN Store in two weeks. Page created in 0.8248 seconds.